It’s been so long since we had an iPhone concept here, that I don’t even remember how a futuristic Apple handset looks like. 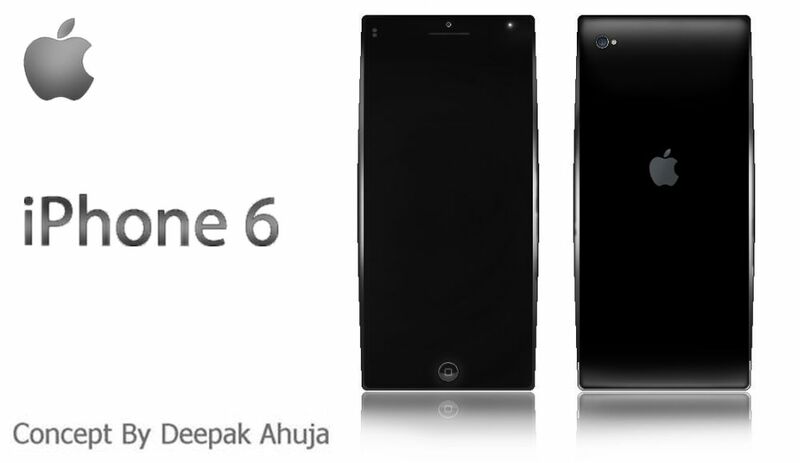 So, this iPhone 6 concept by Deepak Ahuja is welcome, especially since it has an interesting form factor. The device seems to have a curved design, but it’s very elegant, sort of like a modern muscle car, if you want a comparison. It’s got a big 4.8 inch LED backlit IPS LCD display with 720 x 1280 pixel resolution and a 12 megapixel camera at the back. The cam has a LED flash and upfront we’ve got a 2.1 MP shooter with 720p 30 fps video capture. Inside the iPhone 6 we find a quad core 1.6 GHz processor, a PowerVR SGX 543MP3 GPU with triple core graphics. Other features include 16, 32 or 64 GB storage, 2 GB of RAM and a Li-Ion 2800 mAh battery. This device measures 7.5 mm in thickness and weighs 110 grams. I doubt that Apple will go with a rounded design, but who knows?